Stielike was on Thursday sacked as the head coach of South Korea's men's football team. 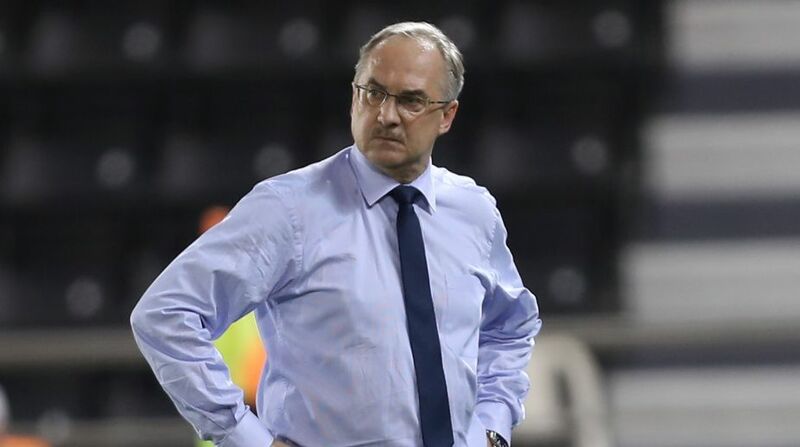 Uli Stielike was on Thursday sacked as the head coach of South Korea's men's football team in the wake of its World Cup qualifying defeat to Qatar. The Korea Football Association (KFA) said it decided to part ways with Stielike following a technical committee meeting at the National Football Center in Paju here. The announcement came just a day after the South Korean squad returned home from Doha, where they lost to Qatar 2-3 in the Asian qualifying tournament for the 2018 FIFA World Cup, reports Xinhua news agency. South Korea remains in second place in Group A with 13 points from four wins, a draw and three losses. Stielike's side, however, is just one point above No. 3 Uzbekistan with two matches remaining. In Asian qualifying, the top two teams from each of the two groups will advance automatically to the 2018 World Cup finals in Russia. Two third-place teams will enter a playoff over two legs for a spot. Stielike, 62, took over the team in September 2014. He was contracted through the 2018 World Cup, should South Korea qualify for the tournament.